I have a confession to make: I’m addicted to research. I research all of my vacation destinations months before I ever book the trip. You can find my top 10 packing tips here! Whenever I try something new, I find out all I can about it before I take the plunge. My family says that I (and my youngest daughter – mini me) have to know how to do something before we ever do it. So, if you ever want to ask me a question, feel free to do so. If I don’t know the answer, I will research the heck out of it until I find out. That’s just how I am. So naturally, when I started blogging, once I kinda, sorta, knew what I was doing, I started researching. I’ve heard it said that[Tweet “If we study something for an hour a day, we will be an expert on that subject within 5 years.”]. One of the goals I’ve been working on lately is learning how to blog like a pro. What about you? Do you want your blog to look more professional, polished and less amateurish? 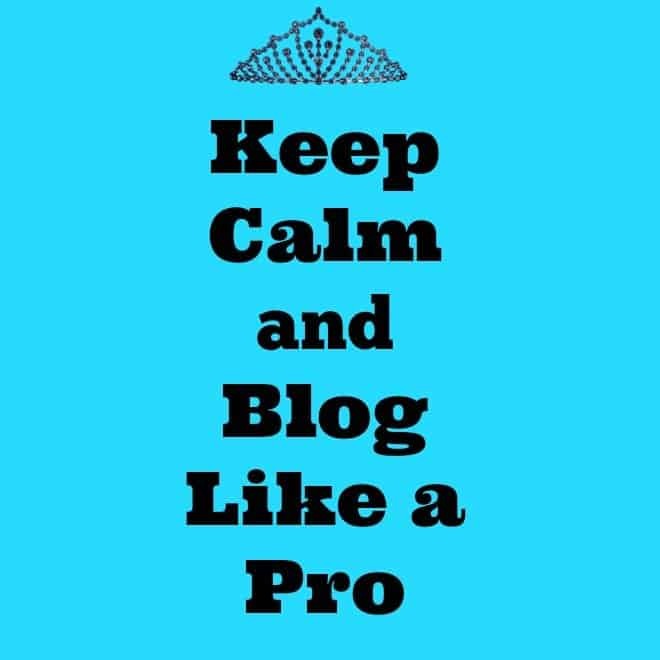 Want to know how to blog like a pro? Take a photography class. (There’s a great online class listed at the very bottom of this page.) I had to really work on my photography skills. My daughter (a photographer) helped me tremendously by giving me constructive criticism. I’ve come a long way, baby! Photos should ideally be about the same width (or a tad smaller) as your blog content. Here’s a great tutorial. Photos that are poor quality and too small just scream amateur. Don’t make people squint to look at your pictures! Food photography can be a pain in the behind, especially brown food! Use props. Garnish to make it pop. Make sure you don’t over edit your photos. There have been times in the past (especially as a beginner) when I have scraped an entire post because the pictures were such poor quality. Don’t become known as the blog with the bad photos! If you need a picture that you don’t have (a world map, for example), get it (for a small fee or sometimes free) from a royalty free site. Never steal photos! Never post a picture on your blog that you do not have permission to use. Using someone else’s photo without permission is illegal! You could get into some serious trouble. Note: Some bloggers/websites are flattered when you use their photo and credit them as the owner of said picture, but get permission first. Lots of websites and photographers are not very pleased to see their work on someone else’s website, especially if the website is claiming it as their own or making no claims whatsoever. That’s called stealing. I hate to be right in the middle of reading a great post and then see a gorgeous picture and I’m thinking that they really know their stuff before I realize that the picture is from an online “big name” magazine that I doubt they have permission to use. Read this to learn more! This article is helpful, too! Bonus Tip: If you don’t have a DSLR camera, it’s possible to get great photos with your phone! Learn how here! When promoting your blog post on social media, especially your Facebook page and Google+, don’t use the photo that automatically pops up when you enter your blog URL. No, no, no! Upload your photo from your computer or photo hosting site. It will be clear, formatted to fit and will get a lot more notice than just the blurb about your blog and that tiny picture that pops up. UPDATE (2016): Social Media algorithms are constantly changing. Now it seems it’s better to leave the blurb and photos that pop up when you enter your URL. Does it matter which option you choose? Turns out it does. Facebook has found that users generally like to click on link-format posts because those give more information. Times, they are a-changing. It pays to stay up-to-date. Let your fans know that you are a real person! 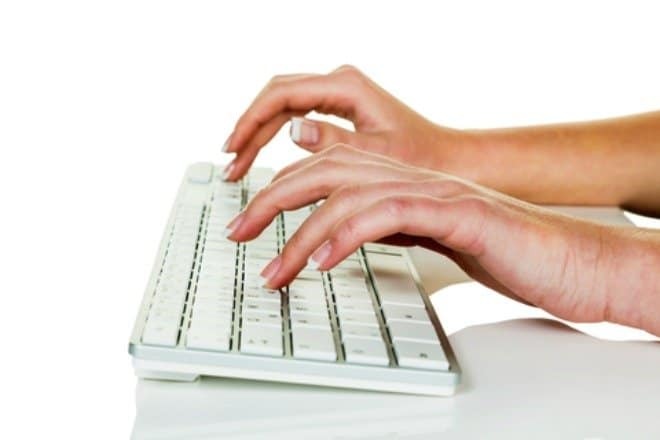 Interact with your fans besides telling them that you have a new blog post. One of my favorite interactions was when I asked my FB fans the following question: “Camo swimsuits? Yes or No?” I received some of the wittiest responses, such as “Does it camouflage fat?” Loved it! Do you, as a blogger, ever get tired of hearing this? On one hand, I do. On the other hand, it causes me to pause and think about my content. Is it relevant? Is is something that people care about or want to know more about? Think about that blog you visited “once” and the content was so boring that you never went back. Don’t be that person. I can think of blogs that I “tried” to follow and just couldn’t because all the blogger ever posted was things like “today I swept the floor, cleaned the house and took care of the baby.” That’s great! But millions of people did the same thing today and it’s not really newsworthy. It reminds me of a Facebook status that says, “I’ve got the house cleaned and the lawn mowed.” Big deal. The rest of us did the same thing today. To know that someone swept their floor is just not interesting to me. The thing that would interest me is showing me how to save time cleaning house or helpful time-saving tips when spring cleaning. Get it? When I first started blogging, I thought that my readers would think my stories about growing up in small-town Georgia BORING, but I get more comments on those stories than any other posts! Don’t be afraid to venture out! Bonus Tip: I don’t know about you, but I’m always trying to improve my blog. When I first started blogging, I would have tiny pictures all over the place! One would be on the left, then one on the right and the next one in the center. Looking back, it was a big hot mess! And when I have a little time here and there, I go back and revisit those first more-than-a-few posts and fix them so that they will look more professional. Also, as you probably know, most readers of your blog (and mine) scan your post and they don’t read the entire thing. I know! I know! They are missing some great content, but let’s face it, people are busy. Make sure your posts are easy to scan by using small paragraphs, easy to read fonts and using a bold font for important information. I tried so hard to read a post a few days ago that was written with no paragraph breaks. There were no breaks in the entire post. I couldn’t do it. I tried to read another post by a different blogger and the background was so busy that I couldn’t see the written words so I had to leave the page unread and I’m sure it was a great post! I’m going to tell on myself: A few weeks ago I was visiting some of my favorite blogs in a limited amount of time. Before long I found myself scanning some parts to get to the good parts (pictures). Because of that, I scanned over an entire paragraph that named me as the winner of a prize a blogger friend was giving away. After commenting, my blogger friend asked me if I had missed something. Talking about embarrassed! I had totally missed the fact that I had won some cool stuff! I decided right then and there to slow down and read every word! Here’s a shout out to Kristen and her blog, The Road to Domestication. Go tell her hello! Follow her on all of her social media sites! Send her flowers! I’m still slightly embarrassed because she has a great blog and I scanned the first paragraph. Have you ever had someone comment on your post and you could tell they didn’t actually read it? I have! Another Bonus Tip: You don’t have to be a computer genius to be a blogger. I love to write and share the tidbits of information I’ve learned from just living life. I am not a computer geek (I wish!). I learn as I go and if it gets too difficult, I call in the big guns (like my web designer). I learned a long time ago that my time is valuable and if I have to spend some money on a graphic designer to save me time and frustration, it’s worth it. We are all lifelong learners. When we stop learning, we stop growing! What about you? Any hot tips you would like to share? What kind of posts do you like to read? You can also read the top 10 things I’ve learned about blogging here! And find out if your blog is reader friendly by clicking here! I’ve said it before and I will keep saying it, if people have to jump through hoops to comment, most people just say no. Lose the captcha (jumbled up, hard to read letters and numerals) and install the Akismet plugin (WordPress) – spam problem practically solved! You’re welcome! All opinions are 100% mine and I did not compensate myself for said opinions. Easy Steps to Add Clickable Images to Your Sidebar – No Coding Required! Great info, Alli. Pinning to my Blogging board so I can click the links and educate myself better. Blogging is an ongoing learning experience. There are so many little facets involved, it does take time to learn all of the many things which can improve your blog. I have not even been blogging a year yet. I feel like I have learned a lot but have significantly more to learn. I couldn’t agree more about commenting!! Bloggers read blogs. We are generally reading a LOT of blogs in one day and do need to make it as quick as possible. I don’t comment at all if I have to register just to be able to comment or jump through hoops with those captcha. I love commenting on blogs with CommentLuv! WELL SAID! Omg, I hate captcha – and you know what I hate more (I know hates a big word but I mean it!) is when the font is like … a font and not a type. Like cursive or something. I found this post this weekend and it looked so interesting – however I could barely even read the font!!!! Horrid. Love your tips. I need to do better on my photos – but I need to get a new camera first! I’ve been using my dads while in the USA and I’m in love with it! Alli, Great post! I am pinning this to re-read and take notes. I am huge researcher too. I get a thrill from digging in and uncovering new information. Carmody recently posted…Painting a Stone Fireplace….Finally, I Did It. A girl after my own heart! I’ve had women text me asking me cooking questions and I just Google it and text them back. The cool thing is: I don’t mind it at all. Alli, this is just such a fabulous post and every single bit of information is wonderful! I definitely have to come back later tonight and check out all of the links (see, I DID read the entire post! 🙂 Blogging is such a continual learning process and I learn so much each day from amazing bloggers like you! I hope the one major takeaway anyone leaves from with from this post is replacing Captcha – it makes me groan every time I see it. 🙂 Thank you so much for sharing all of your great advice and have a fabulous Monday! Sometimes I want to leave a comment, but keep missing the numbers/letters combo on the Captcha and then I just stop. I’m so glad that I went with self hosted WordPress from the get go. It’s so true, I’ve learned so much, but still have much to learn! Great tips! I’ve been doing this for a few years but still consider myself “new” as far as trying to be more professional goes. It’s a lot of fun, but there is definitely a learning curve involved! I’ve been blogging for 3.5 years and sometimes I feel like I have it all figured out and then other times I feel like I’m struggling…LOL!! Great tips!! I love your tips Alli and thanks for the links to pages we can utilize! One of my pet peeves is going to a website and you can’t read the writing because its a light color on a white background, making it hard to distinguish the wording from the background. And I agree with you, I like breaks in the paragraphs, it makes it easier to read. I’m sure I’m guilty of a few of these and am trying improve all the time too. Thanks for sharing! Those crazy backgrounds make me dizzy! I saw one with hundreds of flowers as the background the other day and I couldn’t tell where the words left off and the flowers began. Personally, I think the more simple a blog is, the more readable. Love love love this post. Seriously, I just love all posts about blogging because I always learn something new. I hadn’t hear of TinEye but man that is a great tool. I’d also add to the list of pro-blogger tips, you need to make sure people can see when you reply to a comment! I’ve realized a lot of people don’t have their blogs set up properly to do that! Great tip! I don’t think a lot of bloggers know that we can’t see their reply to our comment. Pinning to my blogging board so I can keep track of all the useful site you listed. Thanks so much for sharing! I’m always looking for more information. I understand what you mean about content. Most of the posts I almost didn’t write or share are the ones that have done the best. I know! There have been times when my finger is hovering over the “publish” bar and I’m arguing with myself – “Should I publish this or not?” And usually I’m glad I did. I love this post! It was really informative. I am guilty of using the tiny automatic picture that pops up on facebook. I will have to change that for sure. I did it, too, Logan! But now I make sure that I upload the pic from my computer when posting on Google+ and my Facebook page. I envy people like you who have the patience to research! I’m the type that just wants to jump in and let the chips fall where they may…sometimes right on my head :/. I have Askimet and it’s fabulous, but there were always hundreds of spam comments in my spam cue every day. Not harmful, just annoying. I noticed the vast majority of them were on old posts, so I disabled comments on posts older than 30 days. This won’t work for some bloggers, but it works for me. Now I get about two or three every few days. BIG difference! Small, dark photos, or black backgrounds, are a huge turnoff for me, but not nearly as much as blogs that have google+ as their default when you comment. What’s up with that??! I just LOVE this post!!! It takes some hard work to become a good blogger and I’m always wanting to learn more! You have some great tips!! I took some notes, ha! Glad you love it! I love learning new things and always look forward to sharing them in case someone else doesn’t know. I’m such a scanner, but I’m trying to slow down and read every word, too! I’ve heard lots of complaints about Captcha (even before I knew what it was) and I try to make sure I don’t have anything that would prevent people commenting on my blog. What a great post! You do blog like a pro! And here is my question, I know it is controversial, some say this and some say that, would love to hear your opinion. Is it better to tart a blog post with a picture or with a text, why and why not? Thank you! I’ve heard that starting a post with a picture hurts your SEO. So I never start one that way. I always begin a post with text. Neatly-Packaged recently posted…Vegas Week – Day 3! Send them on! I really do love researching. And I really do love your blog! You are constantly introducing me to new products that I’ve never heard of! Those are some great tips Alli!! Thank you for sharing your wisdom in this blog gig we are all in together!! I have been wanting to come by your ‘place’ for SO long!!! I know we have passed each other every now and then, and I really am going to INTENTIONALLY come by to connect with you more! I spend so much time reading the blog posts thoroughly that I fear I have limited quantity for quality. I am a slow reader- I like to take it all in, unless like you said- it’s all so hard to follow for various reasons. I also, am not a fan of a LONG post. I have a short attention span and can’t quite make it through and start scanning at that point. Easy to read posts are my favorite- but they have to have a powerful message to bring it home! Glad you stopped by, Chris! I’m off to visit you! Excellent tips. I cringe at the thought of my early photos. Haha! I came over from the Tasty Tuesdays link up, because when I saw the title of your post, I had to read it. Excellent, excellent, excellent! I have been guilty of many of these; and oh, boy, do I have to change some old posts. I also wish I had more time to learn more. I put a lot of time into my two blogs, but when I see what others do, it doesn’t compare. But my kids and husband must come first. If I have a great blog and lose the kids, it will be a great loss. I started almost the same time as you blogging, and you have done so well! I have learned a little bit by trial and error (lots of errors)! I certainly don’t know it all, but I do love learning new things to help improve my blog. Thanks for the advice. I have definitely been trying to redo some older posts to make them look more professional. I have also scrapped entire posts (at least held off on them) because I’ve found my food photography doesn’t look good. Sometimes I have been able to grab leftover food and rephotograph, which is helpful–if the food looks just as good the next day. I think the most important thing for me is to keep working on little things. Sometimes I go to another blog and see something unprofessional and then I can look for it on my blog and try to fix it. Other times I see stuff I love and imitate it (like blog set ups, not copying content and photos). I have more than a few bad pics. I’ve been trying to fix them when I have the time. We are all growing and learning, right? Spot on advice! I agree about the photos. I can’t stand it when photos are too small. In the same vein, if they take too long to load – well that’s no good either. Totally agree! I remember when I first started blogging and knew nothing about resizing photos. Mine would be way too large! Up there with Captcha to me is having to search to find the Pin button. To me wanting to pin is a flattery, it’s something I want to save for later but I don’t want to have to search the whole page for a pin button. So true about the pin button, Stacy! I’ve noticed that a lot of “big name” blogs do not have a pin button on their site! Awesome. I love the readability tips and how to use photography. I know that I often don’t read every word, and sometimes I think “Did I get that?” after I leave. I need to slow down as well. If I want someone to read my stuff, I should at least give their stuff a college try! Thanks for sharing! Off to visit 3 Keys to a Reader Friendly Blog!